Onslaught Miniatures präsentieren ein neues Preview Bild auf Facebook. 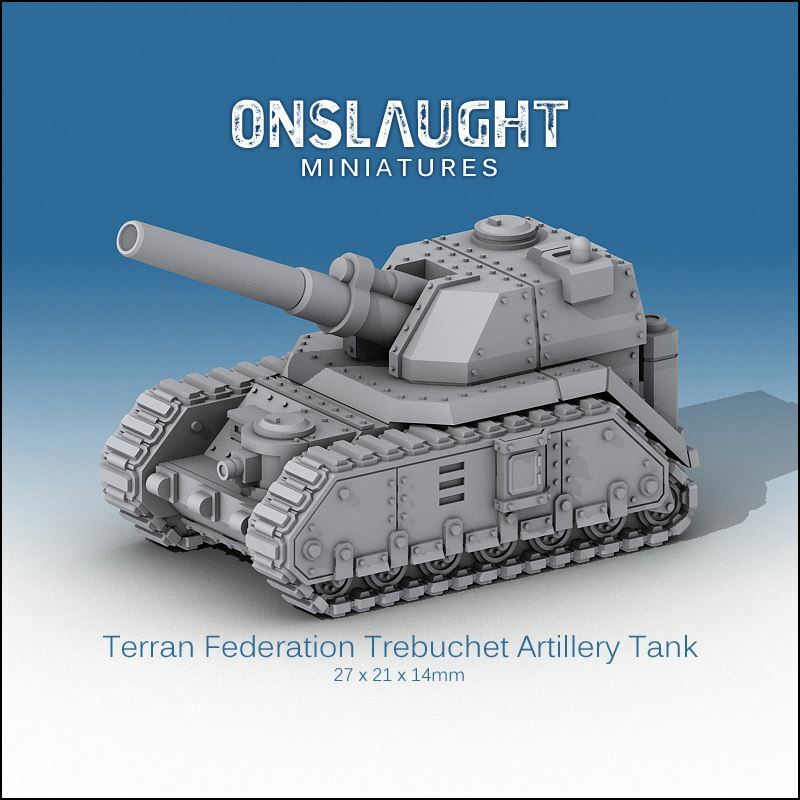 The Terran Federation Trebuchet Artillery Tank! The cannon can be modeled at any angle from 0-45 degrees.